Written by Karl Rabago, this article was created as a primer for the Keynote Address at BuildingEnergy 15 in Boston, March 3rd-5th. To hear more from Karl Rabago, learn more and register for the conference here. For more than 100 years, taxpayers, ratepayers, investors, and policymakers have supported the growth and operations of the electric utility industry. The ratemaking formula, under which capital investment is recovered and healthy profits are guaranteed, has helped make electric service in the United States nearly universal and relatively cheap. For much of the last century, the model leveraged increasing economies of scale to enable the provision of electricity as well as profits and dividends. Where the vertically integrated monopoly remains, so do the problems. In states where "deregulation," more accurately termed restructuring, was undertaken, the problems are almost as bad. While restructuring has produced some benefits by encouraging competition among generators and open access to the wholesale grid, retail service competition has not delivered on the promises with which the concept was originally pitched. Utilities are more insulated from market forces than many other businesses, but they are not immune. Low gas prices, for example, have increasingly rendered coal-fired and nuclear generation economically unviable, while public concern over environmental and human health consequences has made these plants hard to site and difficult to permit. High gas prices induce conservation and shifting toward alternative sources of fuel. Nuclear power plants, with their chronic cost overruns and delays, strain the patience of investors and require ever-stronger incentives as well as questionable cost-effectiveness evaluations and contorted resource planning processes. Meanwhile, customers and the buildings they occupy are becoming increasingly energy efficient. All this weakens growth in revenues at the utility level. Remarkably, the electricity industry is driven overwhelmingly by three key factors, all of which are completely beyond the control of either regulators or utility executives: weather, commodity fuel prices, and general economic conditions. A new and growing component of market pressure on utilities over the past few decades has been the shiftoward smaller, more distributed energy resources and services. As chronicled in Small Is Profitable, published by the Rocky Mountain Institute, right-sized resources offer numerous economic, financial, operational, and engineering benefits for meeting the demand for energy services. These distributed energy approaches offer modularity, risk-reduction, resiliency, and other benefits now increasingly recognized and monetized by customers and entrepreneurial service providers alike. Growth in clean, distributed energy has not come easy, but many concede that the forces of change in the utility industry are now inevitable. Regulators, policymakers, and industry leaders now speak of the need for another restructuring of the energy industry, with the aim of transforming the sector toward "Utility 2.0," or the "Utility of the Future." But several obstacles stand in the way of realizing the full potential of distributed energy services. Pressure on Public Benefit Funds - Public benefit fund programs always face funding pressure. Electric service providers and suppliers make money from sales or have revenues indexed to throughput, so they are often less than enthusiastic about supporting distributed energy. Policy makers and regulators, especially in restructured states, have few other mechanisms for reducing charges to customers, and face continued pressure to reduce or restrain growth of public benefit funds. Increasing Fixed Customer Charges - A number of distribution utilities are seeking to change the ratio of fixed and variable charges for their services. Traditionally, customers are charged relatively small "customer charges" designed to recover metering and administrative costs. Other costs are recovered through volumetric charges based on kilowatt-hour usage. Now a number of utilities are seeking to increase fixed charges and thus their revenues. Because fixed costs cannot be avoided by lowering consumption, increases in these costs also increase payback terms for distributed resources, making installation less attractive. Generation Capacity Costs - Electric generating capacity reserve margins are extremely high in New York and New England, due largely to a massive growth in natural gas capacity over the past decade or so. This new gas generation creates opportunity for demand-side resources, such as demand-response programs in the winter, when gas supply constraints pose potential problems. But overall, excess capacity and relatively low natural gas prices create strong economic challenges for distributed energy market growth. 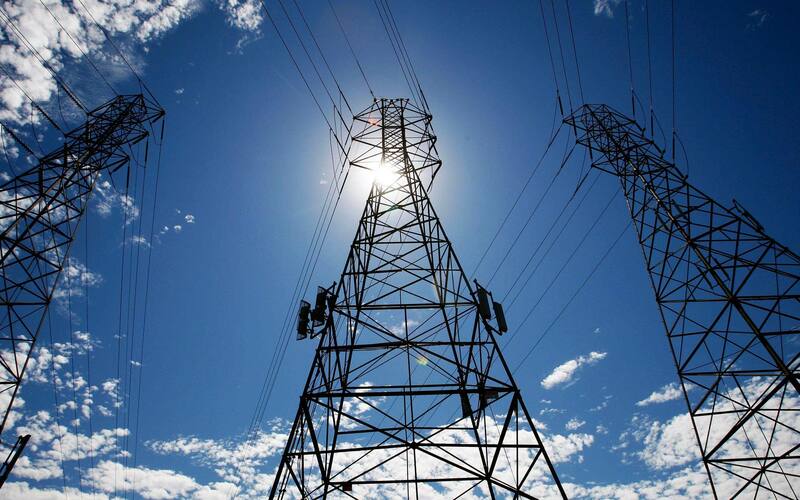 Transmission and Distribution Infrastructure Investments - Investments in the transmission and distribution grid comprise a two-edged sword for distributed energy resources. On the one hand, investment at the "Smart Grid 1.0" level, involving advanced metering infrastructure, distribution automation, and other system improvements, is critical to enable value optimization for many distributed energy options, especially demand response and load management. However, major transmission and distribution investments, especially hardening and some resiliency improvements, compete for scarce capital and create large, unamortized, rate base balances. Some utilities see increased deployment and operation of distributed energy as a threat to timely recovery of these investments. Attacks on Net Metering - Most notorious in utility regulatory policy arenas over the past few years are utility industry efforts to abolish or severely undercut net metering for distributed generation, particularly rooftop photovoltaic systems. Championed by the Edison Electric Institute, American Legislative Exchange Council, Americans for Prosperity, and other advocacy groups, the effort to end net metering is taking place in both legislative and regulatory forums. The standard argument is that net metering, which allows self-generation to offset consumption charges at the retail consumption rate, constitutes a subsidy, because the credit is greater than the cost of wholesale power. The argument continues that because the bill of a net metering customer is lower, the difference constitutes a shortfall in projected revenues for the utility that must be made up on the backs of non-solar customers. These non-solar customers, it is argued, are poor people who the utility can never imagine enjoying solar energy systems. Cynicism aside, the argument suffers most from the faulty premise that one can assume electricity produced at the point of consumption can never have more value than the wholesale price of electricity. And though a bedrock principle of utility ratemaking is that rates must be founded on cost-of-service studies and objective cost allocation exercises, not one cost-of-service study has yet supported the subsidy argument. Dozens of valuation studies have been conducted in recent years, most of which support the argument that distributed solar generation is worth more than the retail prices of electricity, and that solar customers who only receive retail rate credit are, in fact, subsidizing other utility customers. Valuation Analysis - The process of transformation should be primed with value-based pricing of distributed energy solutions. Assumptions about subsidies and cross-subsidies in net metering, energy efficiency, and other distributed systems should be flatly rejected in favor of actual analysis of full, long-term benefit and cost analysis. The analysis of the value of solar that began with Small Is Profitable should expand to all the major distributed energy resource categories—solar, savings (efficiency and demand response), storage, security, and smarts. Rates, charges, and incentives associated with these resources should be based on actual analysis of value to service providers, customers, and society. Once the value of distributed energy resources is understood, regulators can move to create competitive market opportunities for third-party providers of these services from within the current model through local integrated resource planning. Third-Party Participation - The utility sector must be aggressively opened to third-party service and technology provider participation, especially in distributed energy service markets. With advances in intelligence and information systems, there is no reason for electric service to remain so dumb and data-poor. The culture of utility management needs an injection of innovative thinking that third-party entrepreneurs can bring. Elements of retail electric service amenable to competitive service should be unbundled and offered up to competitive providers on open-access terms, just as has been done in competitive wholesale markets. This will lead to loss of market share among current big suppliers, but can provide far more value for ratepayers and society. With proper oversight, providing utilities an opportunity to compete fairly for some of that market share can mitigate such adverse impacts. Performance-Based Regulation - The utility sector elements that serve customers must move from cost-plus regulation to performance-based regulation. The old system was perfectly designed to encourage over-building of infrastructure and over-consumption of electricity. While the benefits of widespread electrification and economies of both generation and grid infrastructure justified that model for more than half of the last century, it has outlived its usefulness. The commodity model must be replaced with a service model. Instead of compensating utility service providers based on commodity production and delivery in a model focused on rates, a shift to performance regulation would reward service providers for maintaining grid reliability while helping customers manage their bills. It would also derive maximum energy service value from the most cost-effective blend of supply-and demand-side resources. This shift could align utility and customer interests while securing improved environmental, economic, and equitable performance in the near and long term. Policy makers should adopt a "one for one for one" transition model: For every new megawatt worth of conventional generation or transmission capacity added to the system, regulators should secure the permanent retirement of one megawatt of existing conventional generation, and the permanent addition of one megawatt of distributed energy resources. The deal is easy to understand and offers a clear path toward the desired end state of robust distributed energy markets. Regulatory mandates can be relaxed as the market grows. Distributed energy acts as a hedge and price-check on additional investments in conventional resources. The retirement of existing conventional generation prevents significant excess capacity from frustrating transition efforts. The goal is the emergence of a new utility model remarkably reminiscent of the original light company model, but with the benefit of modern technology and competition—the load management utility. Yogi Berra tells us, "If you don't know where you are going, you'll end up someplace else." Today's utility model can be summarized quite briefly: forecast and assume demand, build or acquire supply to fit, and implement demand-side options only to the extent forced to do so. The inverse of this model, or "the utility of the future," is the load management utility (called the "distribution system platform provider" by the New York Reforming the Energy Vision publication). The load management utility uses its platform provider role to encourage third-party participation in provision of services rather than to exercise market power, operating essentially as an "independent distribution system operator." The load management utility operates at the retail level, fully under the oversight of markets and state regulators. Its functions are therefore not wholesale transactions until it buys or sells energy or other services to the wholesale system operator, thus reducing problems associated with bifurcated jurisdictional authority over electricity rates and services. The load management utility is a vision of what today's utility distribution service providers can become, for the benefit of the utilities, customers, and society alike. Its incentives align with the best interests of all three, eschewing the sub-optimization inherent in traditional approaches that seek to "balance" economic and environmental concerns, or economic and equity concerns. The time has come to complete the transformation of the electric utility sector. A deliberate and sustained effort to establish robust markets for distributed energy services is the major remaining step in that process. Policy makers, regulators, and utility leaders must focus first on understanding the value of distributed energy resources of all kinds, creating meaningful opportunities for third-party technology and service providers to participate in competition for marginal energy service dollars, and shifting utility regulation to a performance based model of regulation. In the end, the process can lead to the emergence of the new central feature of electric service—the retail level load management utility.